Anne-Marie Endres is a versatile artist with performing experience ranging from theater, musical theater, opera, oratorio, to commercials, voice-overs and television. 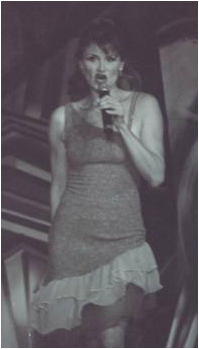 She received her Bachelor and Master of Music in Vocal Performance degrees from the University of Missouri - Kansas City Conservatory of Music where she later taught private voice on their continuing education faculty. Her most recent studies include post-graduate work in choral conducting at Portland State University and doctoral studies at the University of North Texas. In Sacramento, she has taught and conducted masterclasses at Sacramento City College and Natomas Charter School. Anne-Marie has been soprano soloist with The Sacramento Choral Society in the Requiem by John Rutter, the Pergolesi Magnificat and Jake Rune's The Hope of Loving and in Dan Forrest's Jubilate Deo (May 2018). In 2016, she was a soloist in George Sarah's new score for the 1928 silent film "The Passion of Joan of Arc" performed live at the Crest Theatre. A member of the Sacramento chamber choral ensemble Vox Music, she has sung many soprano solos including those in the Vivaldi Magnificat, Pergolesi's Stabat Mater and Porpora's unpublished In te Domine, a work which has not been performed since the 18th Century. In 2017, Anne-Marie sang a solo recital for the Sacramento Saturday Club and more recently sang solos for University of California in Davis on their contemporary music composition concert. Anne-Marie is Music Director for Light Opera Theatre of Sacramento. She was chorus master for their 2016 production of The Pirates of Penzance and in 2017 also conducted the orchestra for Gilbert & Sullivan's Patience. This year she will again serve as Music Director/Conductor for G & S's Gondoliers. She is a past winner of the Metropolitan Opera competition (Midwest District) and has sung with the Oregon Symphony, Portland Opera, Kansas City Lyric Opera, Kansas City Civic Opera, Des Moines Metro Opera companies, and the Kansas City Camerata, among others. She has sung the operatic roles of Violetta in La Traviata, Musetta in La Boheme, the Queen of the Night in The Magic Flute, Donna Anna in Don Giovanni, Fiordiligi in Cosi fan tutte, Madame Silberklang in The Impresario, Nella in Gianni Schicchi, Mrs. Gobineau in The Medium, and the Governess in the Turn of the Screw, among others. She has also sung the soprano solos in such orchestral and choral works as Barber’s Knoxville: Summer of 1915, the Berio Folk Songs, Handel's Messiah, Orff's Carmina Burana, the Requiem masses of Mozart and Faurè, the Gloria of Poulenc and Vivaldi and the Rachmaninoff Vocalise, as well as many Bach cantatas. 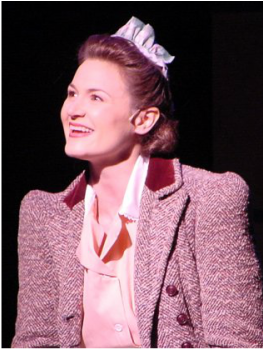 In addition to Anne-Marie's training and experience in classical music, she is a graduate of Circle in the Square Theatre School in New York City. 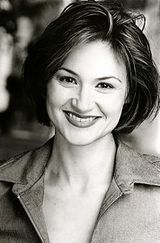 She has appeared professionally to great acclaim in such musical roles as Rosabella in The Most Happy Fella, Irene Molloy in Hello Dolly, Lisa in Quilters, to a disciple in Godspell. and the non-musical Shakespearean roles of Viola in Twelfth Night, Helena in A Midsummer Night’s Dream and Titania in A Midsummer Night’s Dream. Operetta roles she has performed include Rosalinda in Die Fledermaus, Yum Yum in Mikado, Josephine in H.M.S. Pinafore, and Edith in The Pirates of Penzance. For several years as a featured singer on Costa and Celebrity cruise lines, she enjoyed honing her musical theatre and popular music singing skills in their Broadway, opera, swing and popular hits productions. Anne-Marie has been an adjunct lecturer at Portland State University and was also music director/conductor of their Women’s Chorus. For five years as the first Music Director of ViVoce Women’s Ensemble of Portland, Oregon, she had the opportunity to help nurture a fledgling choral group to fruition. She is a member of the National Association of Teachers of Singing (NATS), American Choral Directors Association (ACDA) and Phi Kappa Phi Honor Society. Anne-Marie has taught voice for over 25 years. She is constantly striving to learn more about the art and science of voice and performing so she can, in turn, bring it to her students. Having a love for many styles of singing, she takes great pleasure helping her students find their own unique voice, be it in classical or other genres of music. She believes great singing, in any style, combines musicality and artistry built on the solid foundation of a technically efficient and healthy instrument. Most importantly, she loves inspiring others to achieve their God given potential as artists, guiding them in creating music that touches the soul.